One of the most typical streets of Las Vegas. It is a little of everything, and it is in the center of the city which was the original area but is not somewhat apart from the rest. It is a street with shops, restaurants and light and sound shows several times a day. I love Fremont Street! It's always full of people, but compared to the strip the drink specials are always amazing! If you're tight on money but still want to drink it up and see a cool places with loud music and flashing lights, hit up Fremont Street. To those with little ones: this place is a relatively small area with live bands. It is LOUD, so keep that in mind! This older part of Vegas is great for people watching and not to mention you won't find overpriced drinks! 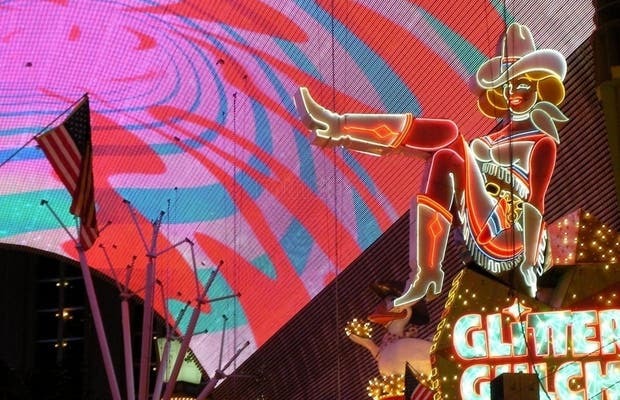 I went zipplining through Fremont street and had so much fun conquering a fear of mine!